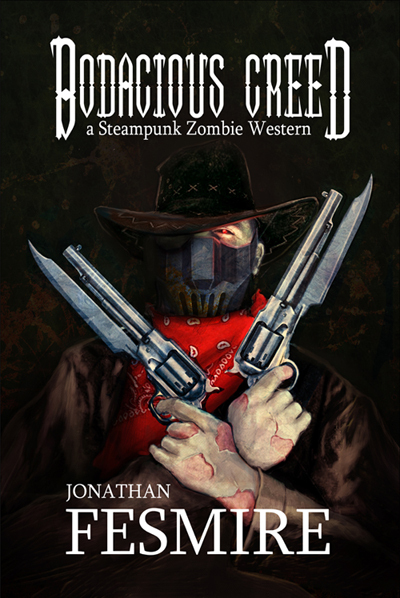 Review: Bodacious Creed by Jonathan Fesmire – W.A.R.G. It is always interesting to discuss literature that pushes the envelope when it comes to what can be done. The very essence of the novel as an art form is that it is an amalgam of various genres. On this site, we often praise the books that do just that. 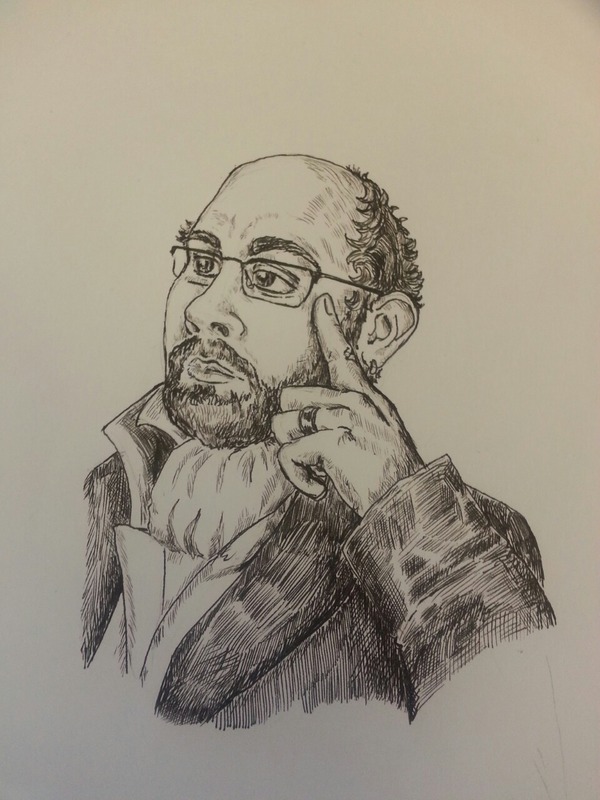 A friend of The Guild, Jonathan Fesmire, sets out to meld worlds and genres in his latest release; Bodacious Creed. It takes place in Santa Cruz, in the days of the Wild West, American Frontier days. Complete with cowboys, marshals, prostitutes, gunfire, and outlaws, it is all there, but with a twist. Steampunk, maybe the ultimate blending of genres, is at its very core an alternative to our world. Anything can and undoubtedly will happen to the characters who inhabit the pages. In this case, we are talking about the walking dead and automatons mixed in with a world we are all some way familiar with. Anna is an entrepreneur and inventor, but only one of those professions is common knowledge. As the proprietor of the House of Amber Doves, a classy house of ill repute, she is well known in Santa Cruz. As the creator of several inventions within the field of automatic machines, she is less known. Her unmatched skills at machine technology have made her wealthy, and allowed her to purchase the brothel she once worked in herself. It has even helped her restore her once doomed assistant, and sometimes lover Jonny. What it hasn’t accomplished is bring her and her estranged father, the infamous James Creed together. That is about to change though, as “Bodacious” Creed, U.S. Marshal comes riding into town one day. He has arrived to bring in the outlaw Corwin Blake, a vicious criminal without scruples. Anna manages to convince Creed to meet with her in order to reveal the secret of their kinship, but fate intervenes. In a shootout with Blake Creed is mortally wounded and dies. Beside herself, with grief, Anna decides that death most certainly is not the end and sets about digging up the body and then altering it with her technological skills. Creed’s body, already in a state of decay, needs several repairs and the success is in question until the lawman finally rises from the slab. With great confusion, but with supernatural strength and ability Creed becomes a sort of vigilante on the streets of Santa Cruz and the news of his rising from the dead soon spreads all over the city. This, though, is only the beginning. Fesmire’s opus, Bodacious Creed, is quite the undertaking of genre fiction. It borrows heavily from several styles and stories to bring together a tale that is filled with humanity, as well as action. The parallels with Shelly’s Frankenstein are obvious, not only because Jonny reads it constantly, but because of the subject matter. Anna creates something that she does not completely take responsibility for. This can, of course, be said of several storylines in the book, not only in the way Creed abandons his daughter. There is a clear Victorian age science fiction feel to this story, but set in the Wild West, which is a novel idea in itself. Bodacious Creed is billed as a Zombie Steampunk Western, but two out of three categories are more peripheral than the third one. The steampunk aspect really only serves as a literary tool to bring the essence of the story forward, zombie aspect hints at a deeper meaning, just like Shelly managed to do in her tale of resurrection. It is the story that takes president here, which can be difficult to do in this type of fiction. It is clear that Fesmire’s story is an important project and that he has chosen to delve deeper than maybe he intended. One would definitely pick up Bodacious Creed for its odd combination of genre styles, but one stays for the well-told story of human interest. Lonely souls in a world that is harsh and unforgiving.